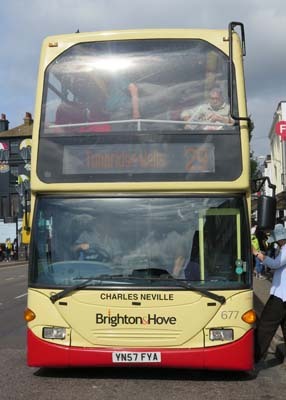 Connections with Brighton and Hove : Peacehaven was open countryside a century ago and it took the flair of entrepreneur Charles Neville to establish a new town by the sea. Neville, a showman whose past was colourful, staged a competition to name the town through the Daily Express after he had bought a large tract of land there. He had previously carried out schemes in Canada and Australia. There was huge interest in the contest which offered plots as prizes and the winning name was New Anzac-on-Sea. But this name was hardly catchy and became tainted by the failure of the Gallipoli campaign during the First World War. 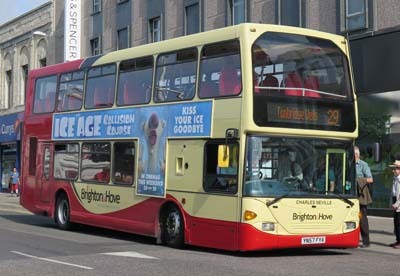 Neville renamed the town Peacehaven. It was developed in rather a haphazard way with some early homes being built from railway carriages and Army huts. This meant it became a monument to bad planning But Neville was not deterred and kept on building. Peacehaven grew steadily until in the 1970s East Sussex County Council decided to build a new centre inland to take pressure off the South Coast Road. By this time, Peacehaven was bigger than Lewes. Neville, who also carried out development in nearby Saltdean, was fond of the town he had created and left some fine features such as the Bastion Steps to the sea and a strip of grass on the cliff top to provide a walk. He died aged 79 in 1960. 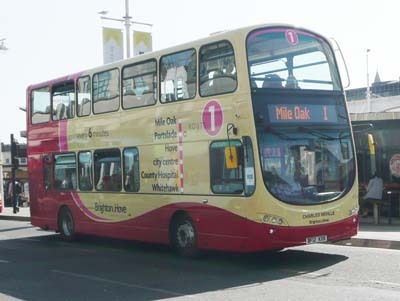 434 Volvo Gemini - carried name since delivery March 2012 on Route 1. 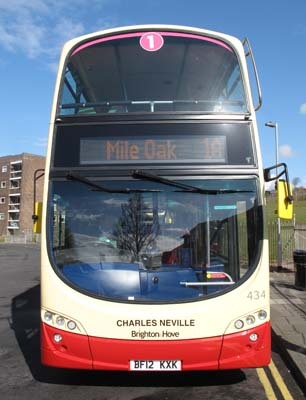 Name moved to Scania Omnidekka 677 in July 2016.